As I sat down to begin the 2nd chapter of “The Story Charcoal the Cat”, I realized that I had forgotten a very monumental occasion in his life. Well I am not sure that he would agree that it was monumental, but it was an event that I’m sure he will never forget and one that greatly altered his life and ours. Annapolis Royal and area is full of wonderful caring people and those willing to donate numerous hours of volunteerism. A small group of volunteers established a trap, neuter, and release (TNR) program for feral cats, in the County of Annapolis in 2006. They have done an amazing amount of work and have made a significant difference in the number of feral cats in the county. The cats are taken to the vet, checked for disease, given shots, then spayed or neutered, and within 24 hours to 48 hours of rest, the cat is returned to the location that he/she was trapped. 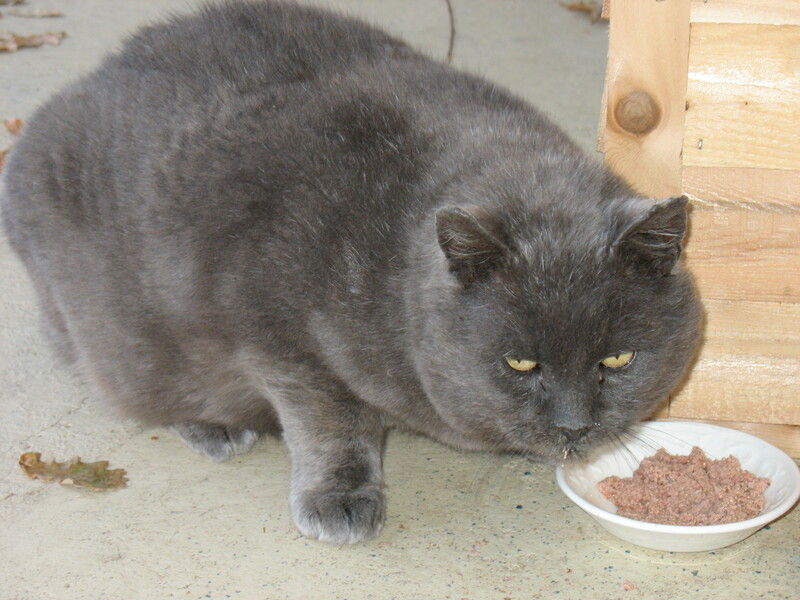 In early September both Paul and I felt that it would probably be best if Charcoal was no longer a tom cat and we were also anxious to have his health checked to make sure he was doing fine. It was a difficult decision knowing he was old, but not sure how old, we had a fleeting moment of indecisiveness thinking it might be unfair to the old boy to change his ways after so long. The moment passed and I called my friend Steve who is one of the organizers of Team TNR and explained our situation, along with stressing how worried I about trapping him. I was sure he would be scared to death and of course once returned and released would leave the Hillsdale House property forever. Steve very graciously offered to come very early one morning to set the trap before our guests were up wandering the property. My only job was to stop feeding him for at least 24 hours so that he would be hungry enough to take the bait. This was a very hard task for me, Charcoal and I were making such progress together and I felt terrible. The morning arrived, the trap was set, and now all we had to do was wait. Steve indicated that it could take many hours; I have to confess I was so stressed and so worried about how scared he would be when he was caught that I almost called it off. Fortunately I didn’t have to wait long and within 2 hours he was safe in his cage, with a blanket over top of him and off to the vet clinic for his life altering experience. The procedure went well, thanks again to Team TNR and to Dorothy who took him home in his cage to her shed for the night so he would be safe. Dorothy arrived at 6:30 am the next morning and we opened the cage and released Charcoal back to the Hillsdale House property. Naturally he bolted, in his creaky arthritic way and all we could do was hope he would come back. Within 12 hours he returned to his food bowls and amazingly enough didn’t seem to be any more timid than he was before he left. Whew, it was over, he was no longer a tom cat, his shots were up to date and he even came back to his family - what more could we ask for? Stay tuned for the next chapter, the winter of 2007!